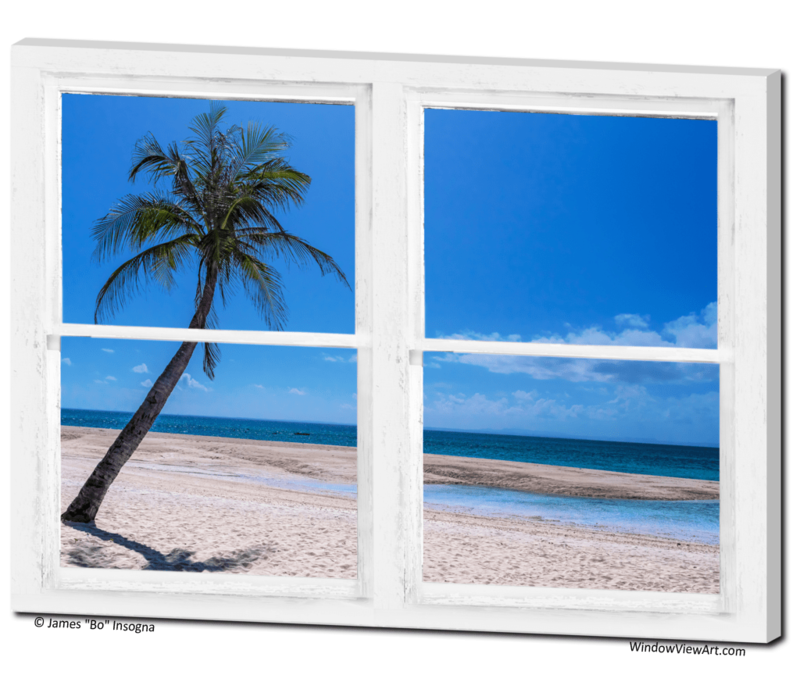 Scenic white sand beach tropical paradise ocean view through a classic white distresse whitewashed picture window. Your very own private fantasy window view into the tropics, Create a vacation happy place view or use for motivation. Create a fine art photography optical illusion to your decor of a beautiful colorful topical Island paradise with a view through an old distressed whitewashed window.